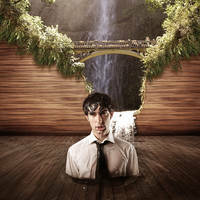 To create this tutorial and image I used Photoshop CS5. I do not know if all the other versions of Photoshop have these features (though I’m almost sure they do). 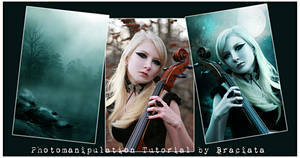 If you by any chance recreate this tutorial, you must credit these people and their stock images just as I have bellow. In case you are interested on learning more, you can download the .PSD of these images and see the process used to create them. 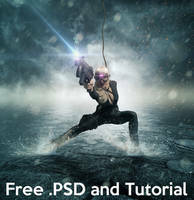 This is an amazing tutorial that you have created. I feel that I, the lesser of the computer art world, can now accomplish what you have done in the picture shown. The steps are very easy to follow, and aspire great detail within them, no mater how simple the artwork is. This piece allows the viewer to see, step by step, what you have done to create this piece. The instuctions are easy to follow, and the art is interesting to view. The mask feature is brilliant, and something I would like to mimic, if my time allows. Brilliant work as always, PS. 50 out of 51 deviants thought this was fair. Wow it is amazing what you can do..! I love the tutorial, but I find the black parts of the makeup looking too much like an overlay effect. They don't look natural. If we take into account how makeup would look, it would be layered on. You would do the white base first, then you would add the black and red. The blush looks great by-the-way. And so the black parts of the makeup would have texture from the face and the previous white paint and the edges would be more blended in. Thanks to you for doing this !! Your work is impressive !!! I had enjoy to make it !!! always a great pleasure! have a great rest of weekend. Awesome tutorial. Thank you for sharing! thank you soooooooo much for this tutorial!!!! Fantastic one! So easy to follow and so very well written! Ofc I'm going to fave it!! u r incredible.. man .. Question: Before you decided to make this tutorial, did you do some trial and error first? Or did you already know what to do and that you can finish this within one hour? 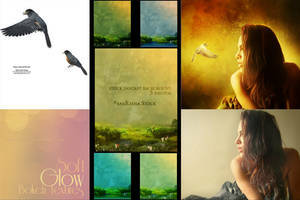 hey,, how to make detail pict on final this tutorial? ?